The Denver Croquet Club will host for the United States Croquet Association the 2016 National 9 Wicket Championship Tournament June 17th to June 19th, 2016. 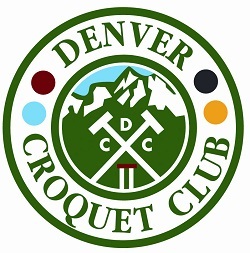 The Denver Croquet Club, located in Denver’s historic Washington Park will be the host of the tournament. However, this tournament will not be played on their beautifully manicured lawn in Washington Park. This is the BACKYARD croquet played on the grass just like your back yard with your family and friends. 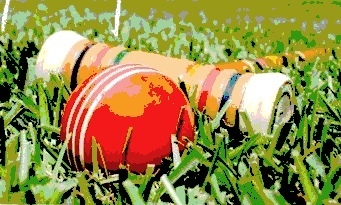 Today, the real 9 wicket sport of croquet is somewhat different from that of your past memories. Big difference, there are real rules, not just the ones Uncle Fred made up. A typical game lasts about 45 min and the game keeps moving with a 45 second player time limit. If you really enjoy the game of croquet, you owe it to yourself, to check out the Official 9 Wicket Rules of Croquet and join in this fun tournament. The tournament will play at 3300 E. Bayaud Avenue in Pulaski Park at Cherry East Creek North Drive and South Madison Street adjacent to the Gates Tennis Center, the Gates Tennis Center is joining with the tournament and as you know Wimbledon was originally the All England Croquet Club so this association of Croquet and Tennis is historic. This 9 Wicket Croquet tournament is open to all players. Handicapping for the tournament will be done in accordance to the United States Croquet Association guide lines by Tournament Director Matt Baird. The tournament is a three day tournament with a warm up and practice day. •	June 16 will be warm up and final day of lessons for all players. •	June 17 will be the official start day, beginning with Doubles play. •	Tournament finals will be on Sunday June 19th. This year we hope to get many new players from Colorado on the courts. Questions, Tournament Director, Matt Baird, (918 760 7226) mbaird1@att.net, Ron Eccles 720 937 2056, rontseg@gmail.com, or USCA 9 Wicket Chairman, Michael Rumbin, smrumbin@aol.com, (805) 501-9908.